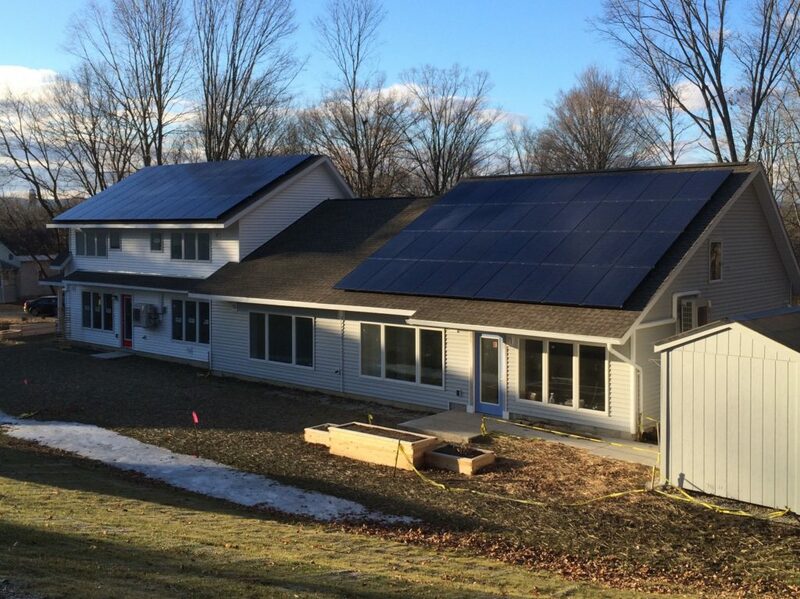 This 3 kW project in Montague was completed in 2014. 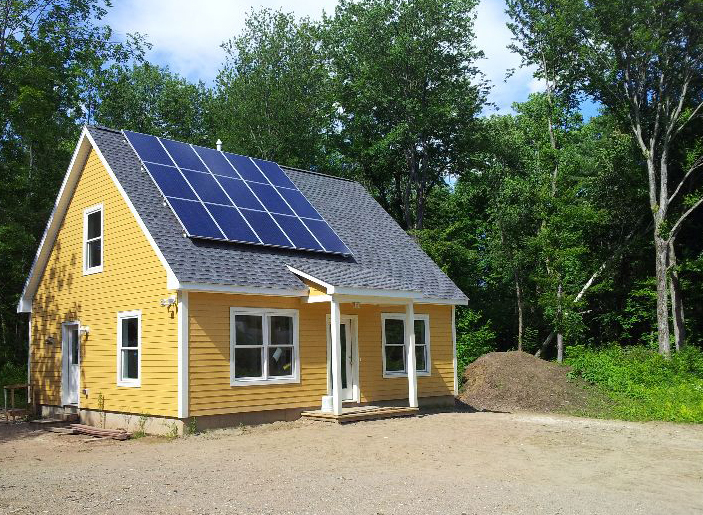 PV Squared has been partnering with Pioneer Valley Habitat for Humanity since 2010 to help make solar energy more accessible to lower income households in our community. To date, we’ve worked with Pioneer Valley Habitat for Humanity on seven projects in Franklin and Hampshire County, working specifically in the towns of Easthampton, Turners Falls, Amherst, and Northampton. The construction of an eighth project is currently underway in our hometown of Greenfield. This project in Easthampton was completed in 2016. It’s actually two homes connected to each other, and they were both designed with net-zero goals. All of these projects have been completed through grant funding or through the donation of products and services by PV Squared at no cost to the homeowner. We designed each system with net-zero energy potential which means that, depending on the energy use of the household, each homeowner could be meeting all of their energy needs with the solar array. It’s truly the gift that keeps on giving for families that rely on the long term financial support provided by these solar systems, and we’re more than happy to help. 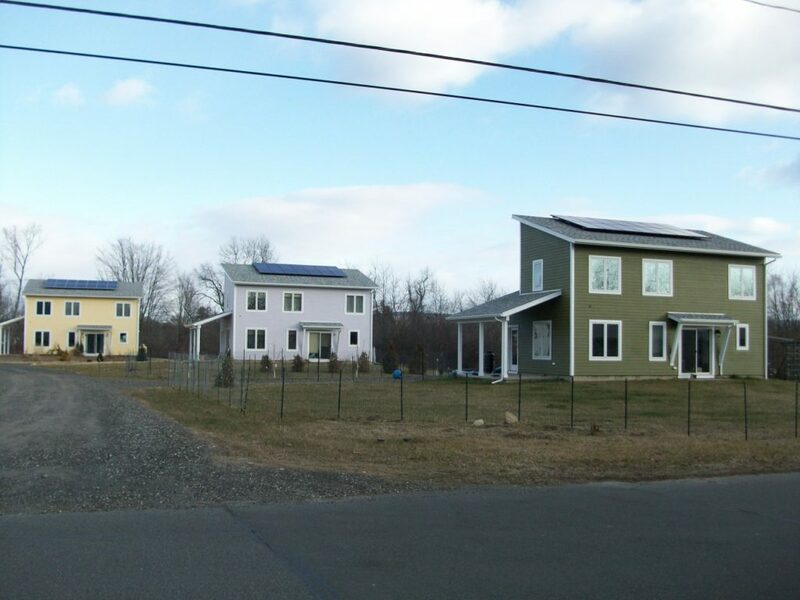 We installed solar panels on all three of these houses in Amherst. ©2018 Pioneer Valley Photovoltaics Cooperative, Inc.